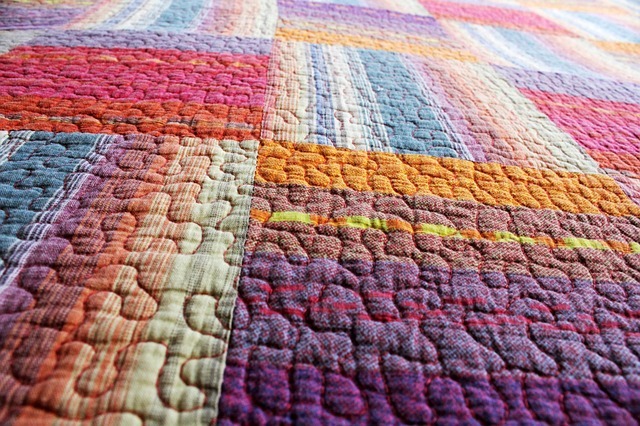 When I was in college, I had a professor who had a metaphor for information technology and organizations inspired by her personal hobby—quilting. She would say that each square in a quilt tells an individual story. However when they are all sewn together, they tell a new story as a unified whole. She said the same is true with people, organizations and technology. They are all inextricably connected and interwoven. The professor’s quilting metaphor got me thinking about data sources. Each data source in our organizations tell a story. The data in our CRM system contains stories about our customers. The POS system contains stories about our retail sales. The ERP system contains stories about our financial books, personnel, etc. The entire point of business intelligence, analytics and reporting is to understand and tell those stories in a meaningful way to the business. Just like many stories have a message or moral lesson, so these data stories give us insights into our business and how to improve it. Data stories are valuable to companies—that is why we expend so much time, resources and effort on managing and analyzing data. If the data quality is poor, we cannot tell a complete, consistent or accurate story. Without analysis, we cannot translate the data into actionable insights. We know this, but what about the untold stories of multiple data sources put together? Back to the quilting metaphor, just as the entire quilt tells a bigger story once the individual pieces are sewn together, what would happen if our individual sources of data were woven together? What new, insightful stories could be told if all our data was brought together? Organizations spend a lot of effort trying to improve the quality of data in individual core systems, like CRM and ERP. They may work to manage their master data on customers, products, vendors, and the like. Still more will put standards and processes in place to try to effectively govern their data. Many have even integrated these data sources into a repository, such as an enterprise data warehouse, to attempt to create a “single source of truth.” While these efforts are certainly important, companies are finding that their data ecosystems have grown and are changing rapidly. Thus, they are finding an increasing difficulty in keeping up with all the data that needs to be managed, brought together and analyzed to gain the business insights they desire. The good news is new technology and practices are emerging to respond to these challenges. There is a relatively new concept in the information management space called the Data Fabric. Simply put, the data fabric is a set of interwoven data sources. A data fabric offers the hope of telling the bigger data story for your organization, just like a finished quilt. Weaving a data fabric is quite different than data integration. In my next post, I will explore interwoven data fabrics and how they differ from conventional data integration efforts to bring data together for insights and analytics. Learn more data best practices with the free ebook below.